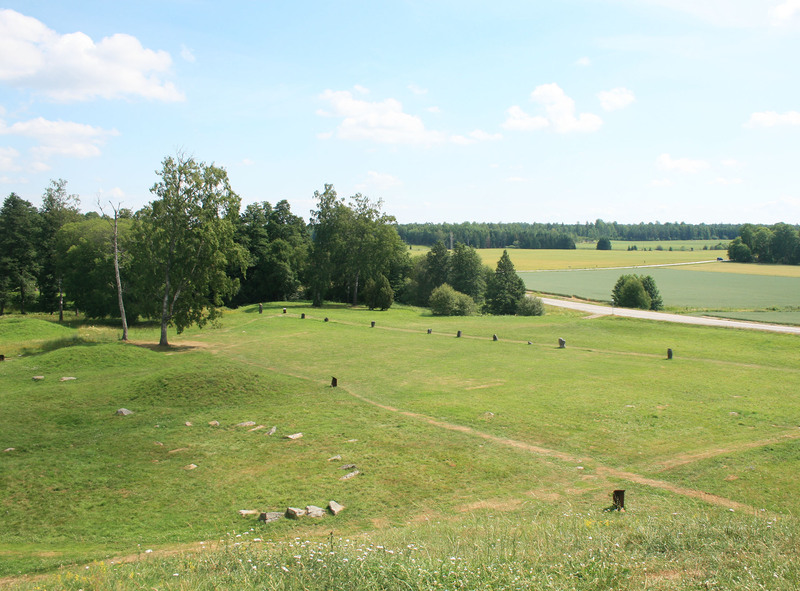 Archaeological remains in the area show a place at the heart of a royal power center during the Iron age. The road taken by the king on royal progress crossed the stream at this point, passing the line of standing stones and runestone. Many retinues of kings and magnates traveled along the Eriksgatan (Erik’s Road). Long before the construction of the mounds or ship settings, this area was a settlement. The water level was much higher than it is now, enough so that one could reach this spot by boat. The remains of houses, hearths and pottery have been found and the settlement continues south into the arable land across the road.